This year for the holidays, we wanted to share with you a little something of our own to Help you put on a show at your Secret Santa or Ugly Sweater Party. We had our own little get-together and found that these tasty treats were an easy way to create an experience for our guests without breaking the bank. Also, with a little diversity at hand, there's something for everyone! Add bourbon, syrup, and bitters to a rocks glass, fill with ice, and stir! Garnish with a cinnamon stick and orange swath. Add all ingredients to a large blender and blend on high for five minutes. Refrigerate until you decide to serve em' up! Pull out your punch bowl, your lemon peels, and your sugar. Muddle the lemon peels in sugar and let them sit for 2+ hours. When they’re ready, add lemon juice and stir until the sugar is dissolved, then add the rest of your ingredients. Stir with a couple of large ice cubes, add some cranberries, star anise, and cinnamon sticks. Grab your ladle and you’re good to go! 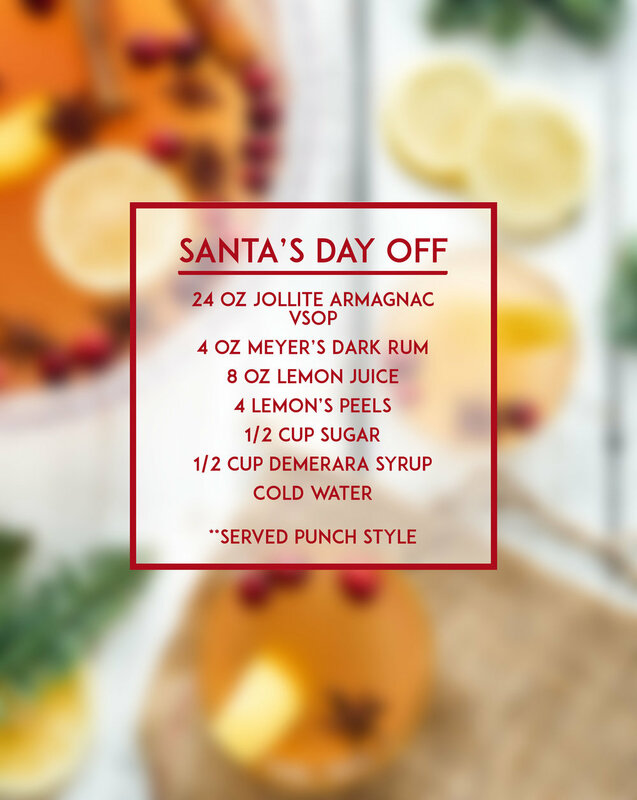 Always drink responsibly and Happy Holidays from our home to yours!